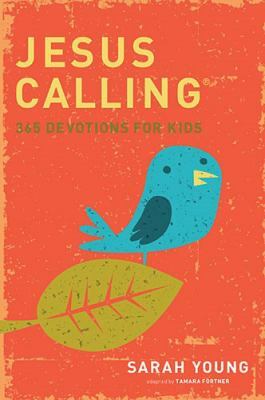 Based on her original "Jesus Calling," this version has been adapted in a language and fashion that kids and tweens can relate to their everyday lives. After many years of writing in her prayer journal, missionary Sarah Young decided to listen to God with pen in hand, writing down what she believed He was saying to her through Scripture. Others were blessed as she shared her writings, until people all over the world were using her devotionals. They are written from Jesus' point of view, thus the title "Jesus Calling." It is Sarah's fervent prayer that our Savior may bless readers, and now young readers, with His presence and His peace in ever deeper measure.